Johannesburg - Companies controlled by the Gupta family, whose accounts are being closed down by Bank of Baroda, said they’re taking legal action against the lender to try and stop the termination, which comes after South Africa’s four biggest lenders cut banking services for the family that’s in business with a son of President Jacob Zuma. 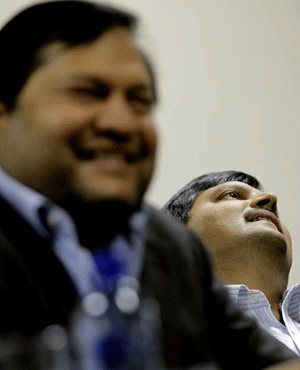 A number of companies forming part of the Gupta-controlled Oakbay Group “are presently involved in litigation against the Bank of Baroda concerning its unlawful attempts to close the companies’ accounts, and particularly in light of the unreasonable notice period given,” Gary Naidoo, a spokesperson for the family and their companies, said in an emailed statement on Wednesday. The deadline for the closure of the accounts has been extended to the end of September by the India-based bank, he said. He didn’t answer a call made to his mobile phone seeking further information. Bloomberg on Tuesday reported that the family had told the Indian lender that they’ve found another company willing to offer them banking services, citing a person familiar with the matter who asked not to be identified because the matter was confidential. The Gupta family controls businesses in South Africa ranging from coal and gold mines to newspapers, a computer business and a 24-hour news channel and have previously said bank account closures could affect their ability to pay about 7 000 employees. The family’s businesses lost their other South African banking relationships after the lenders, including Barclays Africa Group (Absa) and Standard Bank, said they risked falling foul of regulators and the law by continuing to offer services to the family and their companies. The Guptas were last year named in a probe by former Public Protector Thuli Madonsela into government-linked bribery and corruption. Madonsela said her findings weren’t conclusive and instructed Zuma to set up a judicial inquiry. Zuma and the Guptas have denied any wrongdoing. Two calls to the office of a Mumbai-based spokesperson for Bank of Baroda outside office hours went unanswered.